Global food infection. 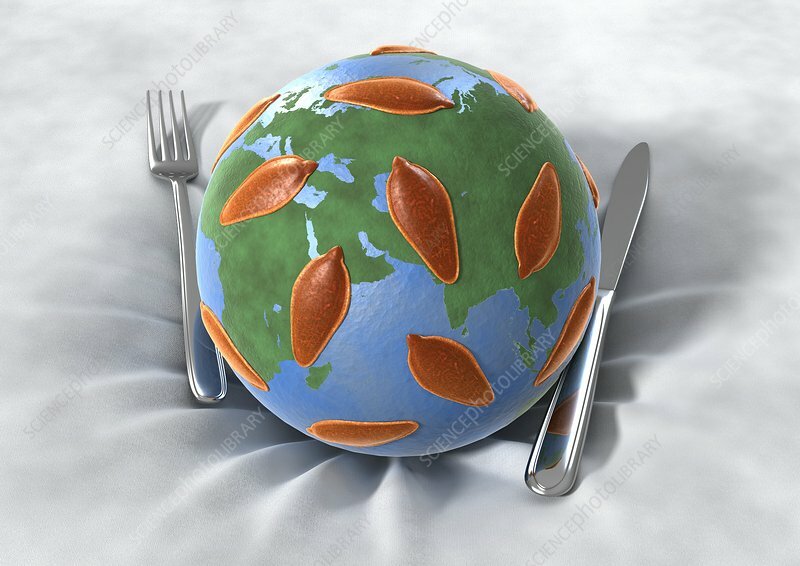 Conceptual image of an Earth globe sinking into a tablecloth with cutlery and microbes on its surface. The microbes are trematodes (parasitic flatworms) that are transmitted on food. The resulting diseases are known as food-borne trematodiasis. Examples of pathogenic trematodes are Clonorchis sinensis (Chinese liver fluke), the Paragonimus lung fluke (causing paragonimiasis), the Fasciola liver flukes, and the Opisthorchis liver flukes.